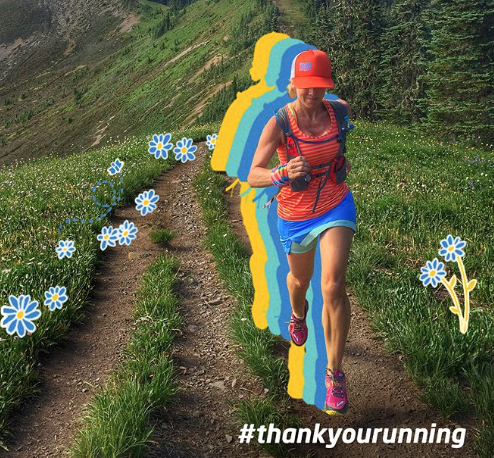 Throwback Thursday – Thank You, Running. 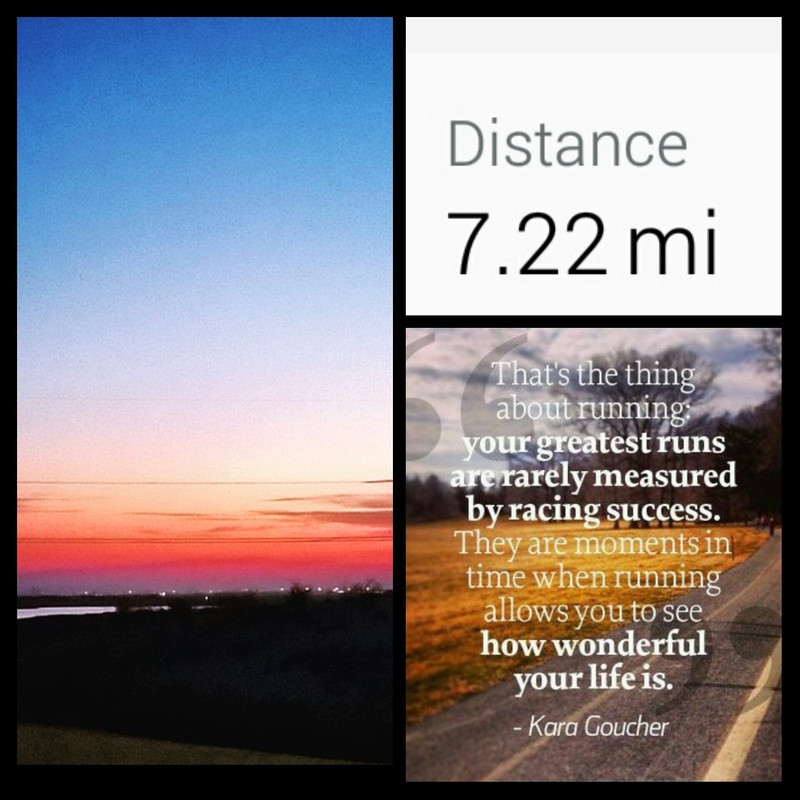 7 miles this morning enjoying some beautiful coral skies. I am very much looking forward to a little rest day tomorrow before my Saturday long run! Bring on 20 miles. So the folks over at Brooks inspired me to write my #thankyourunning story today and why I have so much gratitude for this wonderful sport. I remember like it was yesterday…7 years ago when I set out for my very first social run over at Luke’s Locker – a local running store in the Dallas area. I had just been laid off from a stressful job working lots of odd hours in TV news as an editor and I needed some serious change in my life. I wanted to be active, happy and passionate about things again. I loved working out but at the time it was not a priority in my life due to my crazy career chasing doom and gloom / breaking news. Being laid off I have to say was truly a blessing in disguise. 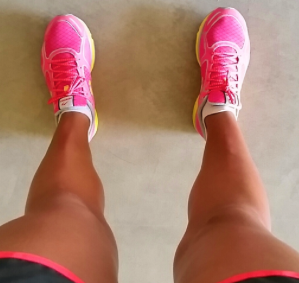 While unemployed I fell in love with running and working out again. It cleared my mind, made me feel good and was a great way to stay out of trouble while I was looking for a new gig. 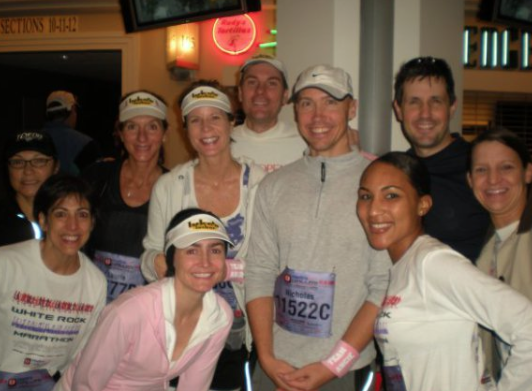 I also met some amazing new runner friends who I eventually trained and ran my very first half marathon with. We all ran in honor of our friend Angie, who was battling breast cancer at the time. I eventually got a job working where I work now, in Christian television as a producer writing promos and commercial stuff. It is a great gig and a refreshing environment to be in. I also am able to use my creativity in a new way and I get a chance to write a lot more positive, encouraging stories. Plus…working normal hours is truly wonderful! Yeah, I do not miss that overnight stuff, not one bit. I’ve also been able to enjoy my running and focus on it a lot more. To this day I’ve run a total of 14 marathons, 22 half marathons and more 5ks and 15ks than I can count. I have also dabbled in some ultra running and am looking forward to training for my 2nd 50K in 2016. I am so thankful for running because it has helped me get through so many challenges and hardships I’ve had in this life. It has healed me through a painful breakup, tough times when I was feeling low and also times when I was feeling awesome. I will forever be grateful for my ability to run and enjoy this wonderful life of mine. What are some reasons why you are thankful for your ability to run? This entry was posted in Fitness, Marathon Training, Marathons, Motivation, Running by thedancingrunner. Bookmark the permalink. i run so i don’t run away lol! it keeps me sane. i have yet to do my 1st full marathon. it’s coming, it’s coming. I’m thankful because it’s making me into someone I never really thought I could be 🙂 I didn’t think I’d ever find her but.. here she is!! Beautiful throwback. I love these stories. I’ve heard so many people say being laid off or let go from a stressful job was the best thing that happened to them. God always has a divine plan! Blessings! Amen! And yes so true! this is a great story of how God can bless us when we least expect it, and a reminder to keep ourselves open to experiencing His blessings in disguise. i didn’t know you work in Christian TV! that’s awesome. you’re so fabulous. I do not talk about it on here often but yes! I absolutely love it. I love this post! It’s such a great reminder, especially on days when I have a hard time getting out there. For example, tomorrow morning I am sure that I will have a hard time getting up and doing double digits before work. But I am so grateful for running, all that it has given me, and the role it plays in my life. Thank you! Anytime Melissa! Enjoy your long run!